It’s been a very good year in cinema, with powerful, psychologically-worthwhile films for kids – like Inside Out – and with surprisingly positive stories like Creed. 2016 looks to be a good year for kids’ film, too – Kung Fu Panda 3 comes out in January and will likely explore the reunification of the Panda Warrior, Po, with his birth family. 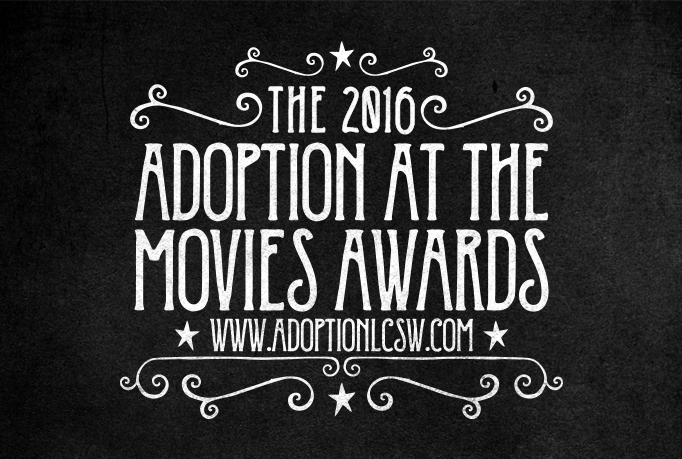 Adoption at the Movies is excited to bring those reviews to you! To close out 2015, here’s a list of the top ten most viewed posts of the year on Adoption at the Movies. Thank you for being a loyal reader – and please remember to subscribe to our free email list – make sure you get every movie review, delivered straight to your inbox! 10. 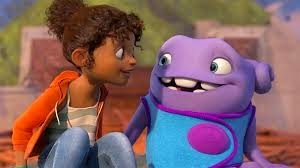 Home – The bumbling alien Oh is on the run from two angry groups of aliens, and is captured by Tip. Tip has been separated from her mother because of the alien activity, and tries to use Oh to find her mother. 9. Hotel Transylvania 2 – Dracula’s daughter has given birth to the son of a non-vampire, causing her family to question whether her son is truly a vampire. Her son is accepted by some members of the community, but some in her own family despise her son for not being “one of them.” This movie captures the strength of parental love in the face of an extended family member not accepting a child for being genetically different from the family. and follows the story of Zoe, a young girl who was taken into foster care. As this film unfolds, we see how Zoe makes it through her childhood – and even more powerfully, we see how, as an adult, she uses her childhood experiences to help others going through similar traumas. 7. 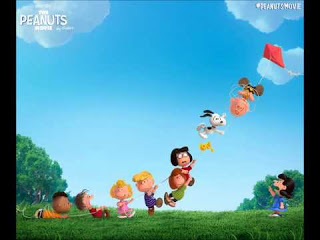 The Peanuts Movie – Charlie Brown and his friends are back. In this film, Charlie Brown tries to work up the confidence to finally talk to the Little Red Haired Girl, but gives up opportunity after opportunity to impress her in order to do the right thing. This film feels like it fits in the familiar Peanuts world of comic strips and animated specials, but it elevates Charlie Brown from a sympathetic everyman hero to one of the best cinematic role models for kids ever. 6. Paddington – A cuddly bear travels from Peru to America in search of a family. His best idea is to search for a researcher who had spent time with him when he was a cub. Along the way, Paddington is taken in by a family that meets him at chance. Together, they work to figure out what it means to become – and stay – a family. One character expresses, “It doesn’t matter that he comes from the other side of the world. We love him, so he’s family. And that means we stick together.” This film could be especially encouraging to children who have been adopted across national borders. 5. Black or White – In this story of kinship adoption, the grandparents of a biracial child must navigate their complicated feelings towards each other and their potentially conflicting desires to have custody of their granddaughter. 4. The Good Dinosaur – In this recent Disney/Pixar film, Arlo the Dinosaur has witnessed the death of his father, and is separated from his mother. He encounters dangers, and ultimately is faced with a young boy who he blames for his father’s death. Soon, though, he realizes that both he and the boy, who he names Spot, are alone in the world – one without a family, and the other separated by unknown distance. Together, they journey towards Arlo’s home and towards family. 2. 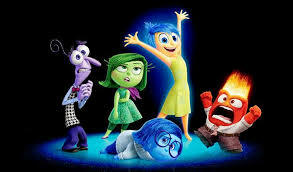 Inside Out – We are brought into the mind of eleven-year-old Riley, whose life has been jostled by her parents’ decision to move from Minnesota to San Francisco. Inside her mind, we see how Joy, Sadness, Fear, Disgust and Anger interact with each other, and we learn along with Riley that each emotion – even Sadness – serves a very important purpose. Inside Out is one of the best films of the year. 1. The 2015 Adoption at the Movies Awards – Our annual awards post honored Big Hero 6 as the best kids’ movie and best overall movie of the year, and The Boxtrolls as the best cinematic adoptive family of the year. The short film ReMoved and the Polish film Ida were also honored. 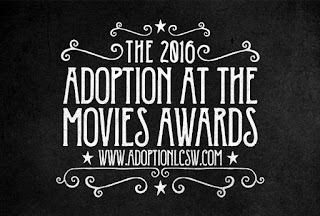 Check out last year’s awards – and get ready for the 2016 Adoption at the Movies Award, coming up on Tuesday February 23, 2016!